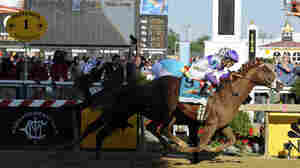 May 19, 2012  I'll Have Another now has a chance to become the first Triple Crown winner since Affirmed in 1978. April 10, 2012  In the first hour of Talk of the Nation, the future of Syria, and the 100th anniversary of the Titantic. In the second hour, teachers and online privacy, Miami Marlins Ozzie Guillen suspension over comments about Fidel Castro, and columnist Dan Savage's new show, "Savage U." April 9, 2012  In the first hour of Talk of the Nation, the do's and don'ts of neighborhood watches, and the opinion page. March 29, 2012  NCAA basketball's Final Four teams will play in New Orleans Saturday, to decide who will play in Monday night's title game. The first match-up pits Louisville against No. 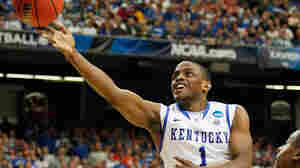 1 Kentucky. In the second game, Ohio State will face the University of Kansas. March 29, 2012  In the first hour of Talk of the Nation, the final arguments at the Supreme Court on the constitutionality of the Affordable Care Act, and why it's time to love the bus. In the second hour, living with obsessive-compulsive disorder, and long-standing sports rivalries. 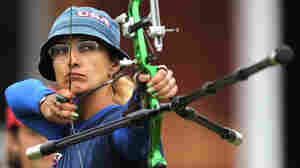 March 27, 2012  U.S. archer Khatuna Lorig hopes to return to the Olympics this summer. But she's already helped put archery into The Hunger Games this spring — by training the film's star, Jennifer Lawrence. In the film's kill-or-be-killed competition, Lawrence's character relies on her ability with a bow. March 27, 2012  In the first hour of Talk of the Nation, how the Trayvon Martin case has changed the conversation about race. In the second hour, Supreme Court arguments over President Obama's Affordable Care Act, and a look back at the legendary career of basketball head coach Pat Summitt. March 22, 2012  In the first hour of Talk of the Nation, the latest developments on the Trayvon Martin story, and NPR's Michele Norris on her Race Card Project. Also, Ben Petrick shares how Parkinson's derailed his baseball career. In the second hour, college accountability, and Turkey's political future. March 20, 2012  In the first hour of Talk of the Nation, the latest developments in China, and actor Wendell Pierce on his plans to revive the food culture of New Orleans. In the second hour, evaluating a soldier's mental health before deployment, and Iditarod winner Dallas Seavey. February 2, 2012  Computerized testing of athletes for concussion isn't a reliable gauge of their brain health or fitness to return to play, according to new research. The computerized tests are used in the NFL and NHL, and in many colleges and high schools. January 20, 2012  Palestine might not seem like a breeding ground for race car drivers. But that hasn't stopped a group of Palestinian women from driving very fast, winning races and making a name for themselves along the way.